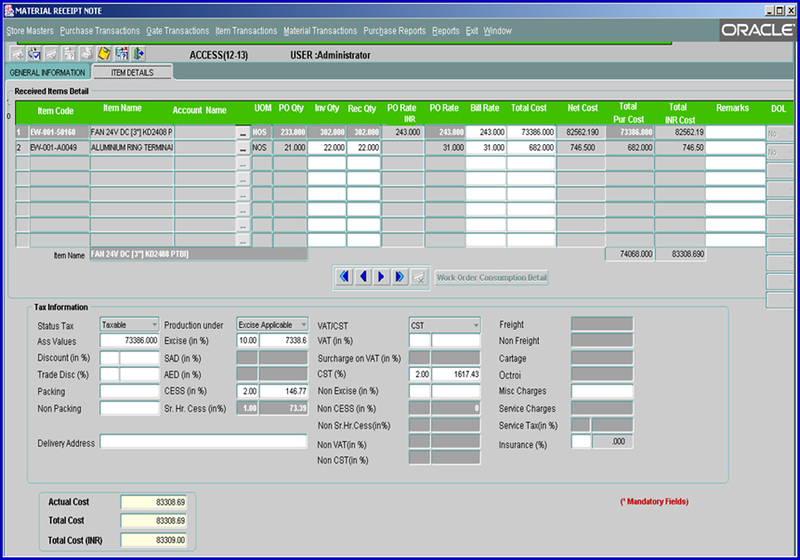 EBS 5.0 assists you to handle inventory by settingup unique control panel that gives actual time visibility all the way to your business. Required for Materials received against PO Sale return items. 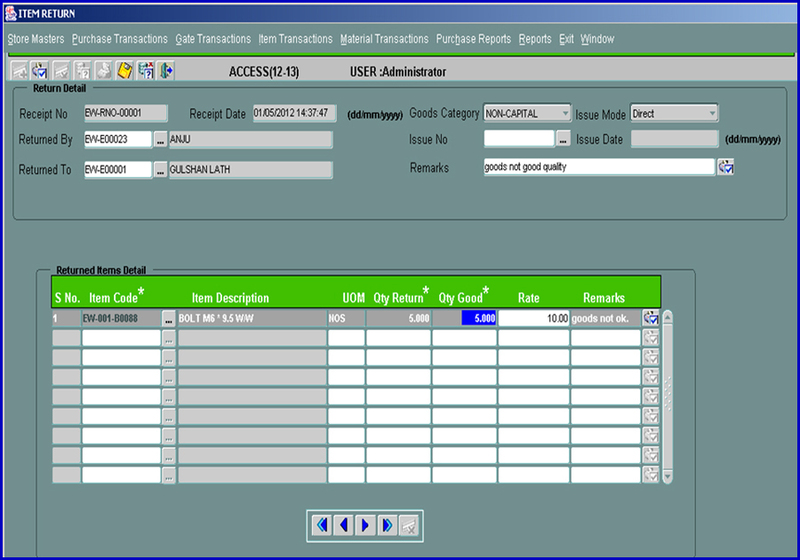 Returnable items sent through returnable gate pass. 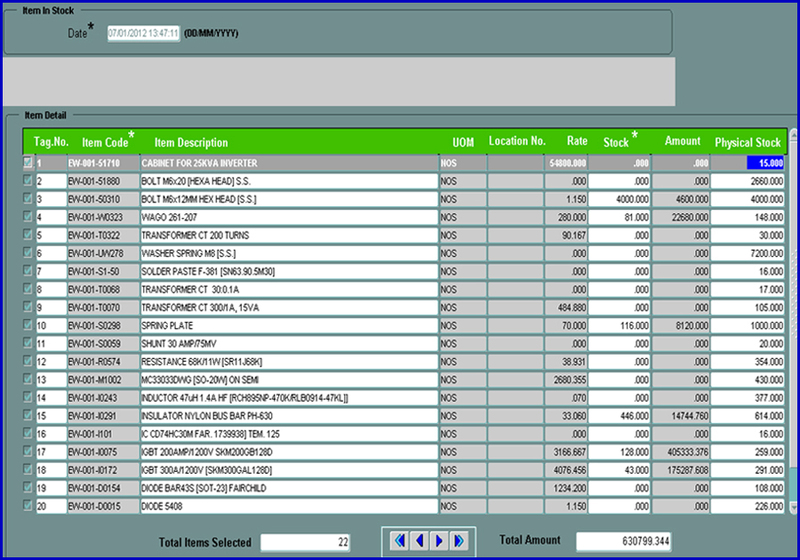 Information will be stored about the bill no, bill date, bill value, date of receipt, and Item rate. P.O.Detail information recorded. 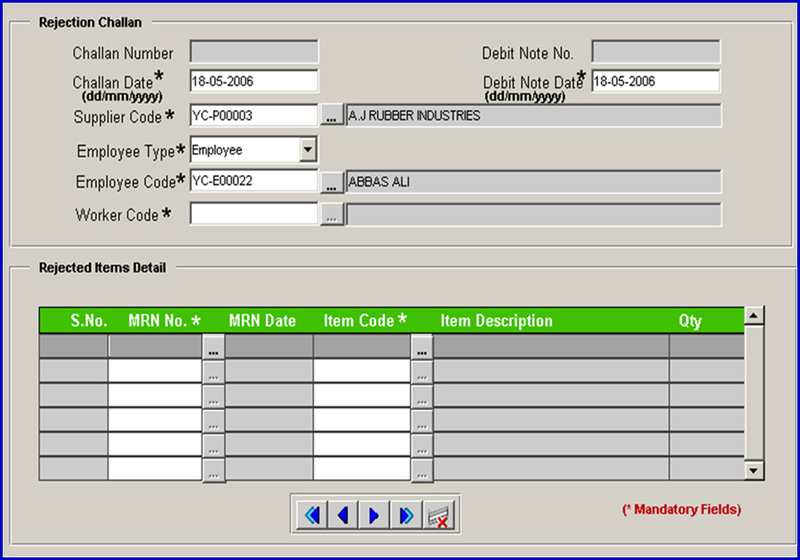 The TAX information about the MRN will be stored Item wise. MRN entries would be required for petty items. One MRN could cater to multiple P.O.s for the same supplier. Items received once against a PO shall not be received again. Material Requisition issued on Bases daily Production Plan. General Item Required from Store. 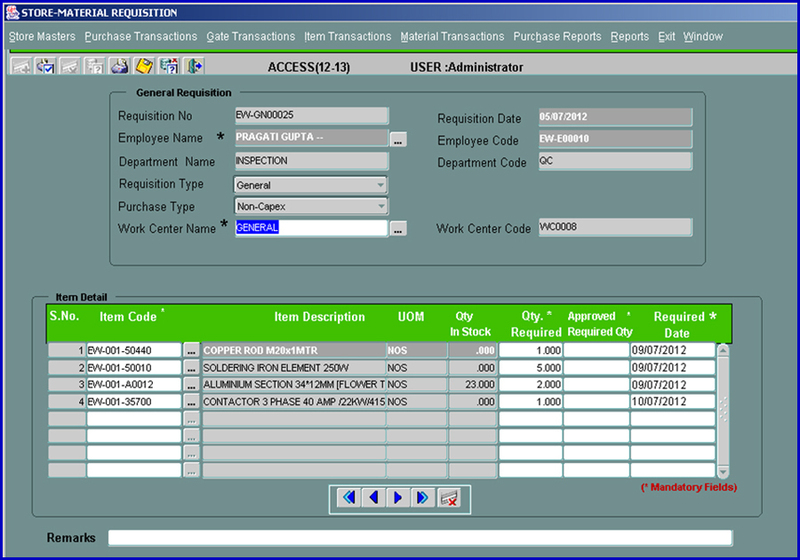 Generated automatically on the Bases of items required for daily production. 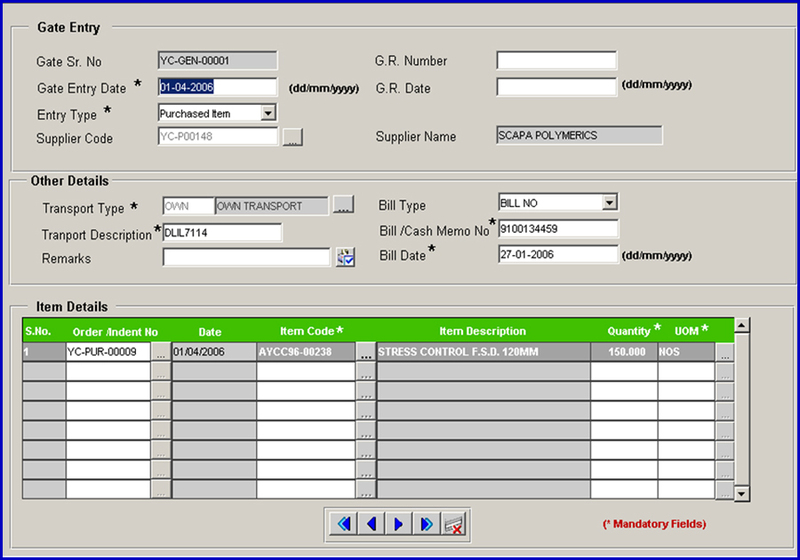 Generated Department Wise Item Code & Qty Fetched automatically from product Design. Goods that were issued could be returned. Nature of Goods returned i.e. (Capex /Non -Capex). Goods that were rejected during Inspection are sent for Replacement. Goods that returns after being replaced are updated in the Store. After inspection any discrepancy or rejection of items then Rejection challan/ Purchase return will be created. Outcome of inspection would be the Inspection report on rejection of the goods received, automatically debit note generation against the supplier, linking with finance. Stock will be updated after inspection. It is used to enter the Physical stock if opening is missing or for rectifying the stock value.